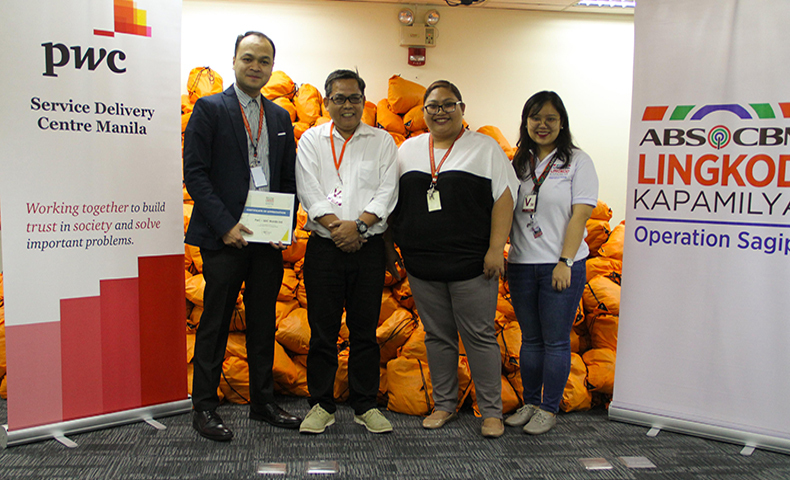 Pricewaterhouse Coopeers – Service Delivery Centre Manila, Ltd., turned over 1,008 life kits to Operation Sagip to help families affected by the on-going conflict in Marawi. Each life kit contains Halal certified goods, blankets, and hygiene kits. The contributions of the PwC-SDC Manila employees made this donation possible. Pricewaterhouse Coopers – Service Delivery Centre Manila, Ltd’s Operations Director, Dennis Basilio (left most), accepts the certificate of appreciation from Marcel Riñon, Operation Sagip’s Deputy Director. Together with them are Miaviel Menor, PwC-SDCM’s Service Delivery Director, and Krisha Catuira, Operation Sagip’s Donor Management Assistant. To date, Operation Sagip of Lingkod Kapamilya already reached more than 24,000 families in Marawi with food packs. Aside from relief packs, the program also distributed 1,100 Gusto Kong Mag-aral Backpacks with school supplies to displaced children who are enrolled in Pantao Ragat and Balo-i, both in Lanao del Norte, as part of its Gusto Kong Mag-aral Campaign. 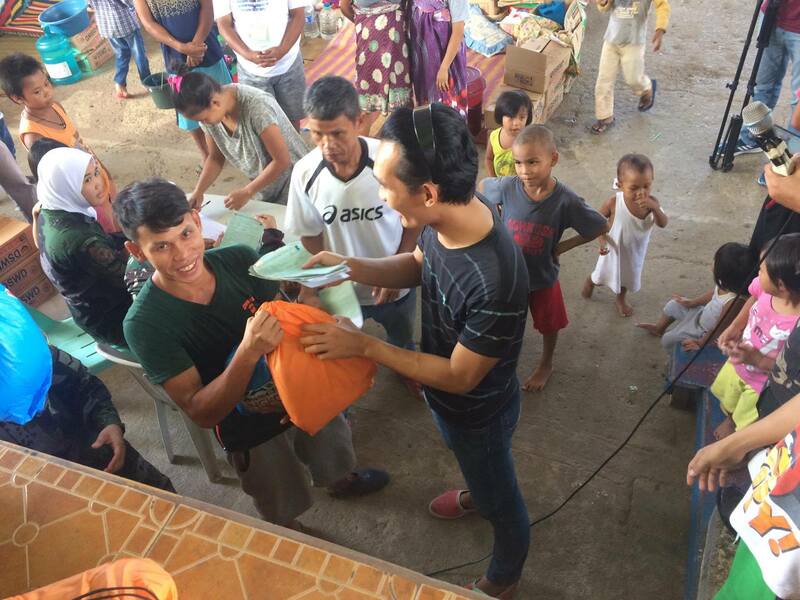 Viewing stations were also installed in four evacuation centers in partnership with SkyDirect and 3,900 hygiene kits were given for the soldiers assigned in the area. Operation Sagip further plans to create rehabilitation projects in Marawi once the conflict has ended. 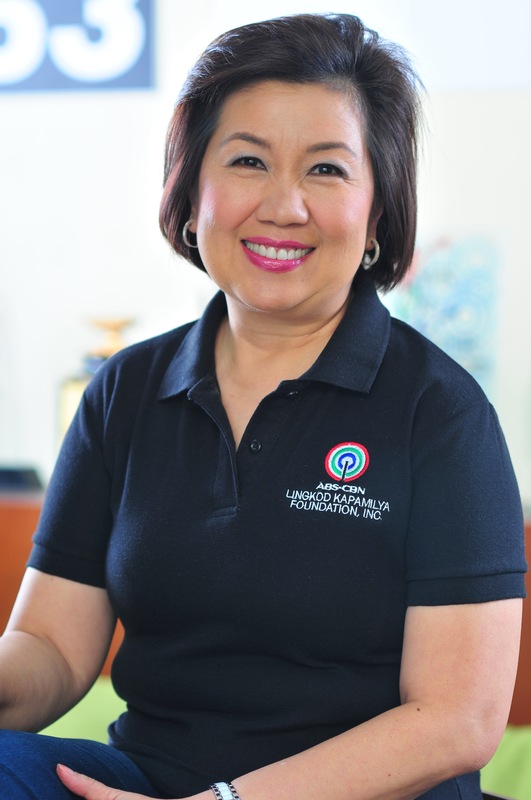 To help, visit www.abs-cbnfoundation.com or follow #IpasaAngPagAsaSaMarawi posts online.